Stage-agnostic: Arvind Sodhani, president of Intel Capital. 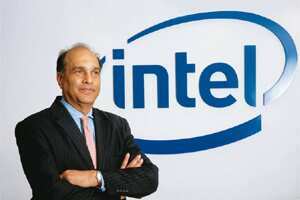 New Delhi: The venture capital arm of the world’s largest chip maker Intel Corp., Intel Capital, has invested $9.5 billion (Rs44,080 crore) in 1,050 firms until now. Intel Capital had a relatively slow year as start-ups hesitated to sell stakes in return for funding because of concerns that valuations would be lower during an economic downturn. What is your investment outlook for 2010? In 2008, we invested $1.59 billion over 169 deals, including $1 billion in Clearwire Corp. (a US-based wireless broadband service provider). Till November this year, we have invested above $200 million. Clearly, we are not going to invest as much as we did last year. Many companies have been unwilling to seek capital. My guess is that 2010 will be a bigger deal year for us. But it is very difficult to predict how much we will invest, as it is a function of lot of variants: Companies have to seek financing, meet our strategic objectives, financial viability test and diligence. We are likely to see more deal flow. Do you see any geographies leading the deal flow? In 2008, Intel Capital invested...approximately 62% of funds (excluding Clearwire)...outside North America. A lot of our investments are currently going to China, India and South-East Asia. We have a small presence in the Middle East. We are driven by the fact that innovation takes place all over the world. BRIC countries and emerging markets are going to experience higher rates of growth. But the challenge is that we need technology that is specific to these markets. These factors position us to invest in BRIC countries and emerging markets. We have large teams in China and India and people in Korea, Japan, Singapore and Taiwan. We have more investments going into that part of the world. Do you see valuations correcting? Valuations have come down from levels reached in 2008 and 2007. I can’t make predictions about 2010. The valuations are somewhat benchmarked to the equity valuations, which have gone up this year. Any particular sectors where you are comfortably placed to leverage the upturn? The keyword remains innovation and it is the most critical part of our investment strategy. We remain focused on data centres, enterprise sector and mobility. Consumer Internet, software as a service, clean tech and education are of interest to us. What are the key takeaways from the challenging environment? Investing in start-up companies is inherently a risky proposition. The survival rate and success of these companies are a function of the economic environment. We do have a challenging economic environment currently, more so in some parts of the world. When you are an investor, particularly in the innovation space, you cannot back off during periods of downturn (Intel Capital announced 10 follow-on investments this year, including two in India, Financial Information Network and Operations Pvt. Ltd, a biometric smartcard-enabled banking solutions provider, and Wortal Inc., which runs local entertainment events site Buzzintown.com). You have to be consistent and persistent during such periods,?particularly?because they provide the opportunity to have better valuations. Innovation does not stop because there is a slowdown. Creative minds continue to think and come up with better ideas. Is Intel Capital adopting a cautious approach by favouring more late-stage deals? We are a stage-agnostic investor and we make investments from pre-revenue to a pre-IPO (initial public offering) company... We evaluate companies on the risks they represent. We look at a company on its own merit. You have said there is a tsunami of social media networks. What is the opportunity this presents? These trends will change the way companies advertise and build their brands. This is changing the face of the Internet and the way we conduct our lives, communicate, shop and so on. That will have repercussions across the board and it will require bigger data centres and networks. As a fallout, energy efficiency and clean tech will become important. Going forward, companies will have to look at creating new ways of power generation and optimizing it. Shrija Agrawal attended the event held in Huntington Beach, California, as a guest of Intel Capital.